Israeli soldiers kidnapped two Palestinian children in Yatta town, near the southern West Bank city of Hebron, handed nine families notices to stop the construction of their homes, and demolished three tents and sheds in Jebna village. The Popular Committee against the Wall and Settlements in Hebron said the soldiers kidnapped two children, after the army invading their families’ homes, and searched them. The two have been identified as Issa Mohammad Shawaheen, 15, and Ahmad Ghassan Shawaheen, 16 years of age. The Committee added that the soldiers invaded, on Monday evening, Jebna village in Masafer Yatta area in Hebron, and handed nine families military orders to stop the construction of their homes, in addition to handing three orders for demolishing tens and sheds the families currently inhabit. Head of the Masafer Yatta Protection Committee Othman al-Jabarin said the soldiers handed the orders to Nabil Hussein al-Jabarin, Ali Mohammad al-Jabarin, Mousa Ibrahim Abu Younis, Issa Maher, Mahmoud Ahmad Younis, Ibrahim Ahmad Younis, Mohammad Houshiyya, and Issam Issa Abu Younis. On Tuesday at dawn, soldiers invaded Marah Rabah village, south of Bethlehem, and handed an interrogation warrant to resident Ahmad Qassem Omar, 45, after they stormed his home, and searched it. 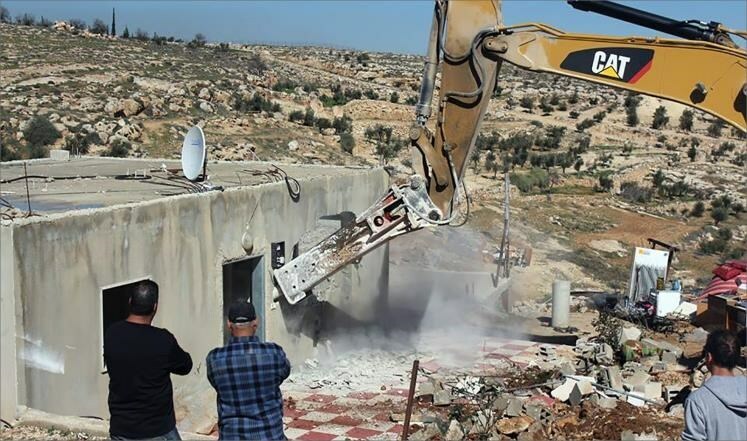 The Israeli occupation authorities (IOA) afternoon Monday notified 11 Palestinian families of their decision to demolish and stop the construction of 11 homes in al-Khalil’s town of Yatta, in the southern West Bank. 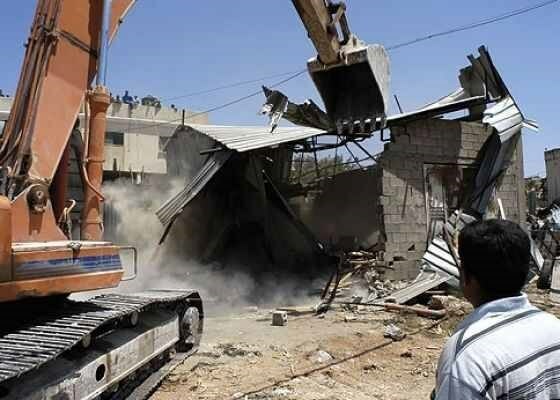 Coordinator for the popular committee against settlement in Yatta, Rateb al-Jabour, said the IOA ordered eight Palestinian families to stop the construction of their homes and notified three other families of the intent to knock down their houses. Al-Jabour said the notifications targeted Houshiya, Abu Younis, and al-Jabreen families, among others, under the pretext of unlicensed construction. The demolition threats were delivered a few hours before the Israeli occupation army, on early Tuesday morning, tightened military grip around al-Khalil city. Eyewitnesses said Israeli army troops have been heavily stationed at the northern entrance to the city, near the illegal settlement of Gush Etzion, and sealed off the Bethlehem-al-Khalil access road with randomly-pitched checkpoints. 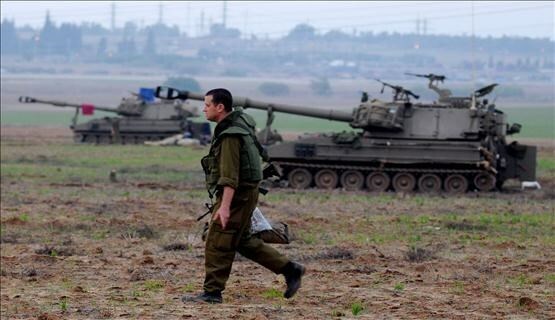 The Israeli occupation troops were also deployed near al-Khalil’s towns of Sa’ir, Halhoul, al-Shyoukh, and Bani Na’im, generating a state of panic among civilians in the area. 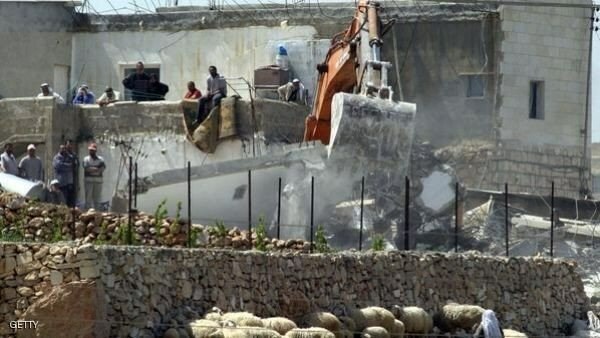 The Israeli occupation authority (IOA) on Monday notified a Palestinian citizen of its intention to demolish his agricultural facility in Khader town, west of Bethlehem city, at the pretext of unlicensed construction. 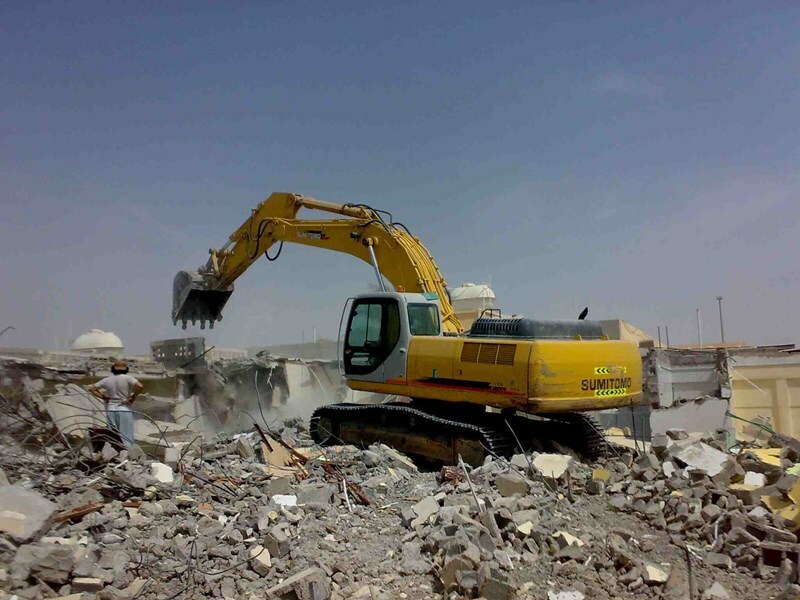 The national committee against settlement in the town said that Ibrahim Khalil, who live in Umm Rukba area, was handed yesterday a demolition order issued against his cattle shed. Several demolition orders have been either carried out or issued recently against Palestinian property in Umm Rukba area of the town as part of an Israeli Judaization plan targeting the Palestinian presence in the West Bank, according to the committee. The Israeli occupation army on Sunday notified Palestinian farmers in Bruqin town, west of Salfit, of its intention to appropriate parts of their land. 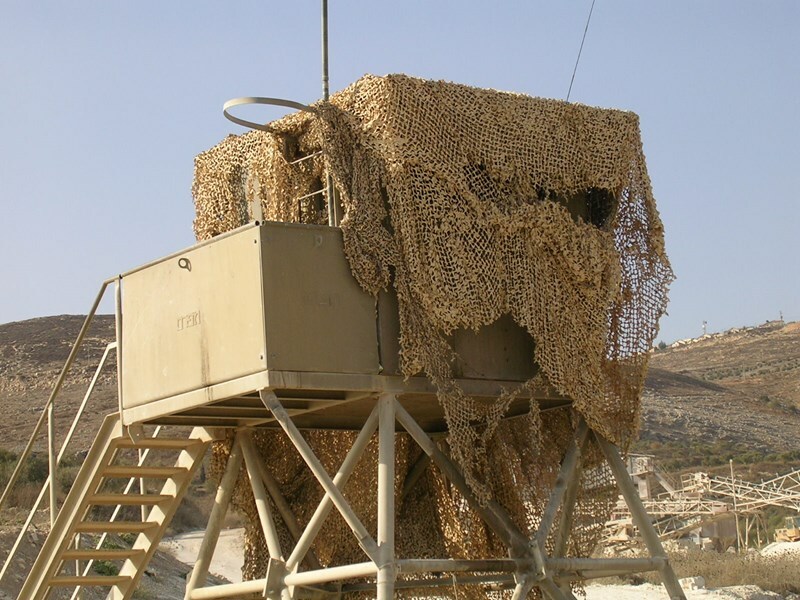 The farmers reported that the Israeli army decided to build a watchtower on four dunums of their agricultural land. The farmer complained that the town became surrounded by three expanding settlement, Ariel, Barkan, and Bruchin. They have appealed to human rights groups to intervene to stop Israel from expanding its settlements at the expense of their agricultural areas, which they described as their only source of livelihood. Israeli Occupation Forces (IOF) Saturday morning handed two demolition notices to two Palestinian brothers informing them of the intension to raze their tents to the east of Yatta town in southern al-Khalil. 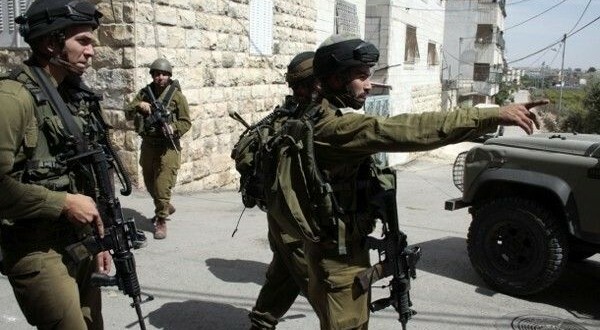 The coordinator of the Popular Committee against Settlement in Yatta, Ratib al-Jabour, told the PIC reporter that the IOF soldiers along with Israeli civil administration teams stormed the town and handed the destruction notices to two brothers called Majid and Ayed al-Shawahin. The structures to be demolished are two tents used for housing purposes as they shelter two Palestinian families. The IOF claimed lack of building permits, Jabour pointed out. He underlined that the continuous issuance of demolition notices in east of Yatta against Palestinians’ houses and tents aim at deporting Palestinians away from their homes for the purpose of settlement expansion. Israeli forces, on Saturday, notified two Palestinians of their intention to demolish their residential tents in Hebron’s Masafer Yatta, an area that lies almost entirely in area C, under full Israeli control, according to a local activist. Coordinator of the popular committee against the wall and settlements in southern Hebron, Rateb al-Jabour, said that forces handed two brothers, who were identified as Ayed and Majed al-Shwaheen, demolition notices for their residential tents, which, if implemented, would displace them and their families. He said, according to WAFA, that this measure aims to empty the area from its lawful Palestinian owners as a prelude to take over the land for the benefit of settlement expansion. Issuance of construction permits for Palestinians living in Area C, under full Israeli administrative and military control, is strictly limited, forcing Palestinians residing in such areas to embark on construction without obtaining a permit. 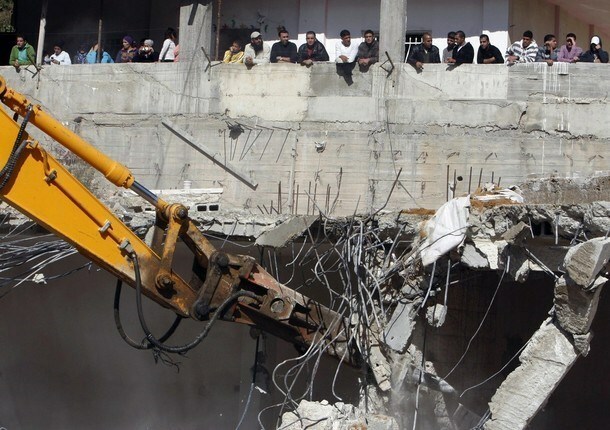 According to the United Nations Office for the Coordination of Humanitarian Affairs (OCHA), between December 30, 2014 and January 12, 2015, Israeli authorities demolished 27 Palestinian structures in Area C, of the West Bank, and five in East Jerusalem, in addition to two "self-demolitions", due to lack of Israeli-issued building permits. 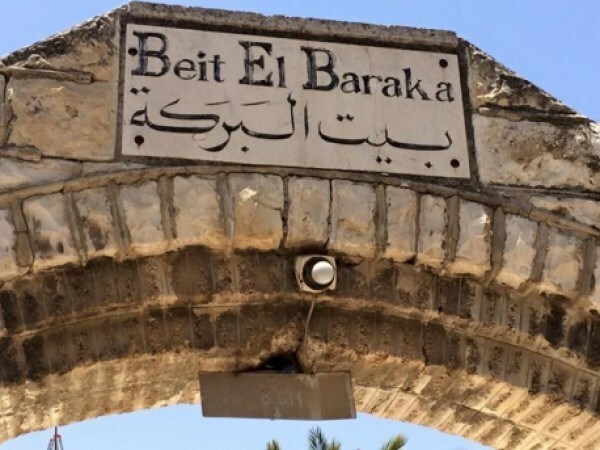 Israeli war minister Moshe Ya’alon has approved recently a plan to confiscate Beit al-Baraka church in al-Khalil as a prelude to establish “a strategic settlement” in the area, Palestinian official reports revealed Saturday. Israeli settlers claimed that they had earlier brought the church with the aim of establishing a settlement located between Gush Etzion bloc and al-Khalil city, the reports added. 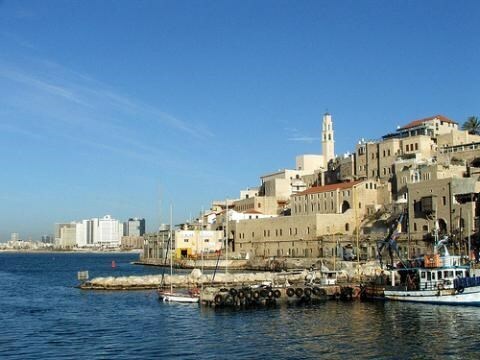 Israel Land Fund intends to establish a hotel in the area, the reports said. The church, located in an area of 40 dunums near Arroub refugee camp in al-Khalil, was purchased by an American association in favor of the settlers. 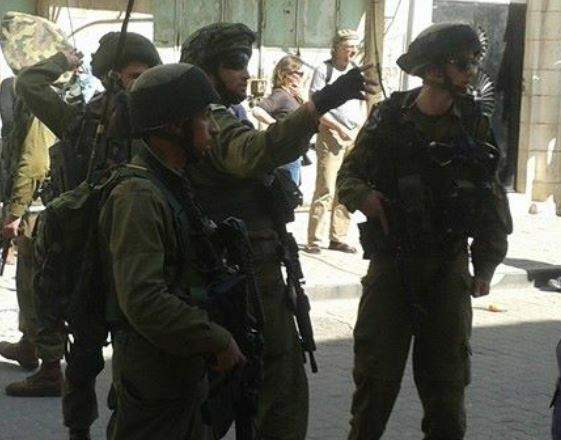 30 Israeli soldiers are currently deployed in the church as a prelude for the establishment of the settlement. The Israeli government has submitted anew a request to the high court to officially take over private Palestinian lands in order to legalize an unauthorized settlement outpost near Bethlehem, according to Peace Now. 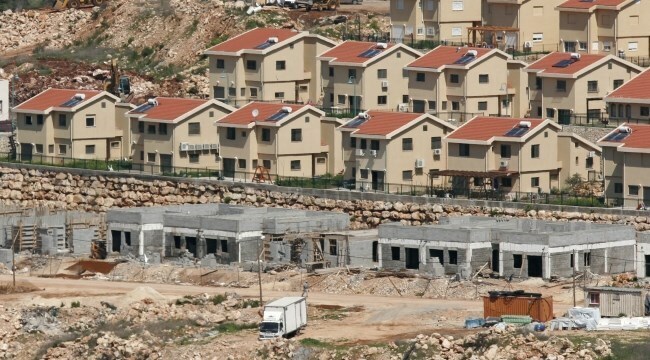 The request was again in response to a Peace Now petition to demolish 17 settlers' homes, which were built on Palestinian-owned lots in the illegal settlement of Derech Ha’avot near Bethlehem. The high court will convene soon to debate the demolition of these homes. The Israeli government asked the court to consider the settlers' proposal to take over the lands by a "re-parcellation" (unification and division") procedure, which unites a few parcels together and enables to swap lands with the owners. This procedure would allow the settlers to receive the Palestinian lands after giving its owners adjacent lands as a kind of compensation. This is a kind of legal acrobatics that is meant to confiscate the lands without calling it a confiscation, Peace Now stressed. "If this idea would be approved, the settlers could build anywhere, being sure that the land will be given to them eventually," Peace Now official Hagit Ofran said. Israeli Forces Evacuates Jordan Valley Bedouins for "Military Practices"
Israeli occupation forces began, on Tuesday morning, a wide military exercise in the al-Maleh valley in the northern Jordan Valley, and evacuated dozens of Bedouin families. 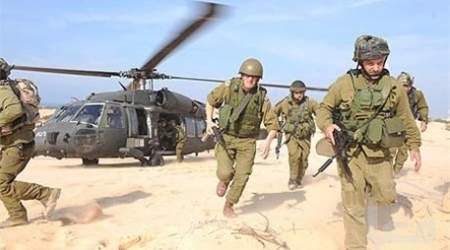 According to Al Ray, Palestinian witnesses said that soldiers imposed a military cordon on the areas of al-Hammamat, al-Burj, al-Mayta and Humsa in Wadi al-Maleh area, in the northern Jordan Valley, and evacuated citizens and begun military exercises and maneuvers. Palestinian citizens pointed to the displacement of around 42 families in those areas; they added that these exercises are made continuously. 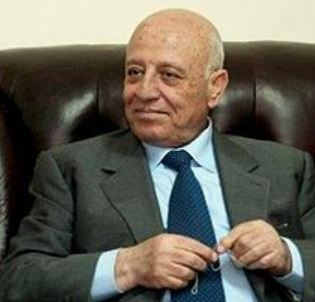 Member of the Executive Committee of the Palestine Liberation Organization (PLO) Ahmad Qurea’, who also heads the Jerusalem Department, strongly denounced the Israeli decision to illegally confiscate 615 Dunams, belonging to al-Walaja residents, south of Jerusalem. He said the latest illegal confiscation is part of the Israeli plan to build a “National Garden” that would lead to the annexation of large areas of privately owned Palestinian lands. Qurea’ said Israel is planning to pave roads, pedestrian areas, special routes for bicycles, sports areas, and visiting centers in addition to parking lots and various public buildings for visitors and tourists. He also condemned the ongoing assaults against the Palestinians, and their holy sites, especially the repeated invasions by fanatic groups and the police into the courtyards of the Al-Aqsa Mosque, the ongoing provocative tours, and the most recent Israeli decision to prevent six Palestinian women from entering the mosque and its courtyards for 15 days. The Israeli occupation authority (IOA) has issued demolition orders against Palestinian homes in Yatta town, south of al-Khalil, and the Negev region at the pretext of unlicensed construction. Rateb al-Jabour, coordinator of the national committee against settlement activities, told Quds Press that the IOA on Monday notified Bilal al-Shamesti, who live with his family in al-Karmal area near Yatta town, of its intention to demolish his home. Jabour added that the house had been built several years ago, but the IOA aims to evacuate the Palestinian natives from their areas to expand settlements. In the Negev, Israeli civil servants escorted by policemen on the same day stormed several villages and placed demolition notices on many homes. 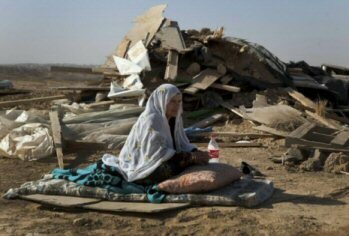 The Israeli occupation army has ordered 27 Palestinian families living in Bedouin areas east of Tubas city to evacuate their homes. Local sources said the Israeli occupation forces (IOF) delivered the evacuation notices during raids on different Bedouin areas in east of Tubas, including the areas of al-Hamamat, al-Burj, al-Maitah. Local council official Aref Daraghmeh said the families were ordered to evacuate their homes next Tuesday and Friday from six o'clock in the morning to 12:30 in the afternoon at the pretext of carrying out military drills near their areas. Daraghmeh condemned the Israeli orders as war crimes against the Palestinians and appealed to legal and human rights groups to stand by the Bedouin families and curb the systematic evacuation policy pursued by Israel in those areas. What will happen to the family of the Martyr “Ghassan Abu Jamal” after the decision of deporting his wife from Jerusalem!!! The 32-year old Nadia Abu Jamal, wife of the Martyr Ghassan Abu Jamal, is living in permanent anxiety and fear for her fate as well as her three children after the Israeli Supreme Court rejected the request of the “Defense of the Individual Center- Hamoked” not to deport her from the city of Jerusalem. The 32-year old Ghassan Abu Jamal passed away on 18/11/2015 after carrying out an attack in a Jewish synagogue in West Jerusalem and the occupation authorities have been punishing his family since then with unjust decisions. Abu Jamal family explained to Wadi Hilweh Information Center that the court responded to the request of “Hamoked” organization and did not agree to the presence of Nadia in the city of Jerusalem. On 13/7/2015, a session will be held at the Supreme Court to discuss the request of “Hamoked” and during this period Nadia is banned from staying in Jerusalem. Nadia pointed out that she was informed by the interrogators that her “residency application” was cancelled after she was interrogated at Al-Maskobyeh in West Jerusalem immediately after the Martyrdom of her husband. Accordingly, “Hamoked” organization followed-up with the matter and sent a letter to the Minister of Interior who issued the decision, and to the Ministry of Interior and the Supreme Court; note that their response was negative every time. Nadia is from the Eastern Sawahreh and had an ID from the West Bank. In 2002, she got married to the Martyr Ghassan Abu Jamal and filed a “residency (reunion)” application. She was initially rejected but got the approval in 2009 which allows her to stay in Jerusalem and move freely in between Jerusalem and the West Bank through the Israeli checkpoints; note that she had to renew her residency permit every year. The last time she renewed her residency was in May 2014 and expired in May 2015. Even though she had the permit in the last few months, but the Israeli authorities had cancelled the permit in the systems of all Israeli Departments. She was able to stay in Jerusalem through correspondence and legal follow-ups until a decision was issued two weeks ago to deport her from the city of Jerusalem. The occupation authorities did not stop at withdrawing the residency from the Martyr’s wife but also prevented his three children from being treated in the Israeli hospitals and medical centers; note that his 6-year old son Walid has heart problems and the 3-year old suffers from a nerve disease. They also deprived them from receiving benefits and allowance from the National Insurance. At the end of last year, the Israeli court issued an order to demolish the family’s house and the family was forced to immediately evacuate the house. Abu Jamal family appealed to international human rights organizations to immediately intervene to overturn the unjust Israeli decision against Ms. Nadia Abu Jamal, which would deprive the children of their mother and their rights and entitlements. The family also expressed their surprise when the so-called “Committee for Humanitarian Affairs of the Ministry of Interior” approved the decision of deporting Nadia from Jerusalem and depriving her from her children. The Israeli occupation authorities (IOA) on Tuesday notified the forced deportation of 13 Palestinian families from the Jordan Valley, in the northern West Bank. Local sources said members of the Israeli planning and construction committee stormed Hamsa Fouqa area in the northern Jordan Valley at the early morning hours and handed 13 Palestinian families orders to evacuate their homes under the pretext of military drilling. The targeted buildings are reportedly homes to some 60 Palestinian civilians, mostly women and children. In a separate incident, Israeli army jeeps stormed the Ainoun nature reserve near Tubas city, in the northern West Bank, and destroyed all its trees. Israeli soldiers invaded, Wednesday, Beit Hanina neighborhood, north of occupied Jerusalem, and demolished a Palestinian home. 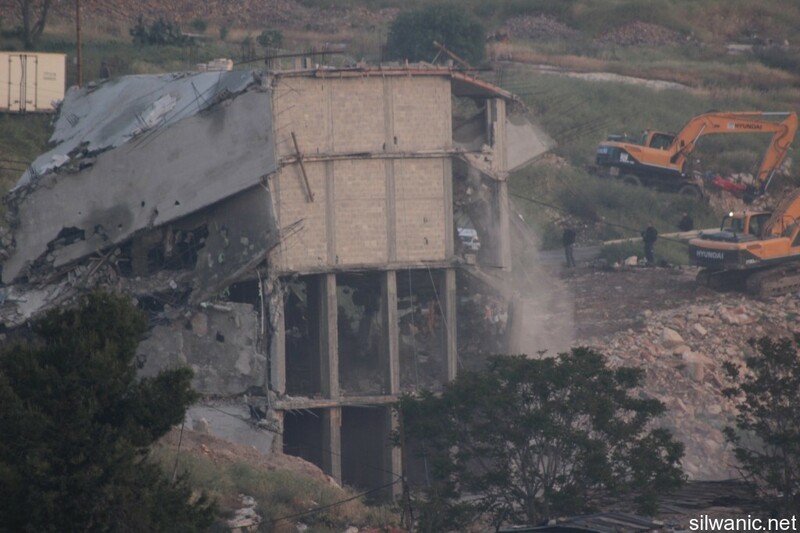 The demolished property, located in the al-Marwaha area in Beit Hanina, belongs to Tamer Edrees. Edrees said the soldiers invaded his home, after surrounding the area, and only allowed the family to remove some of its property, leaving the rest behind. The resident said he never received the alleged order, otherwise he would have filed an appeal instantly. The army claims his property was built without a construction permit.